The Highland Hurricanes have a rich tradition of competition and camaraderie. Our coach will start working with children as soon as they can successfully swim the length of a lane up until they graduate from high school. We encourage new and returning swimmers to participate. 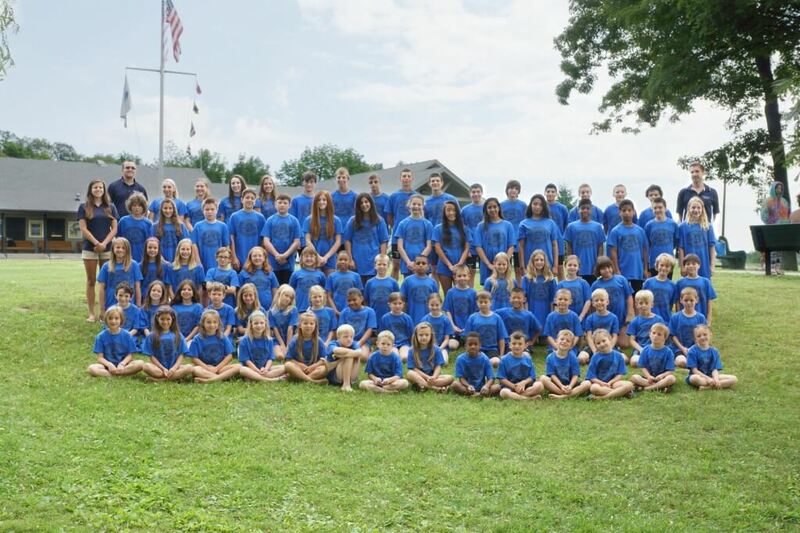 We are a member of Lakeland Swim Conference (LSC) which is a conference of other North Jersey lake communities with swim teams. Weekly meets against other lake teams in the Lakeland Conference are held on Wednesday nights at home or away. 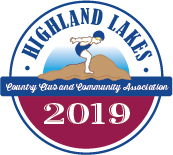 The Highland Lakes Invitational is held on the last Saturday of July, and swimmers have the option of traveling to invitationals hosted by other lakes most Saturdays in July and early August. Find out more about our meets and invitationals. 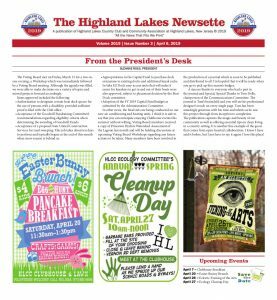 Our primary mode of notification is via email, but meet line-ups, results, and other important information will be posted on the Swim Team bulletin board under the clubhouse deck. As with all HLCC activities, volunteers are essential components of the team’s success. There are numerous ways for parents, grandparents, siblings and others to help. We can use “chaperones” for away meets, timers, concession sales and help at the scoring table. The “B” Invitational is our biggest event of the year and we can always use help setting up, breaking down and throughout the day. Many hands make light work. 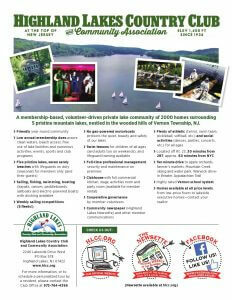 Find out how easy and fun it is to volunteer. Please see our Code of Conduct for expectations of behavior for parents and swimmers. Sign ups for swim team begin on Memorial Day weekend at the clubhouse. Swim team generally starts before other club activities, usually coinciding with the week Vernon’s school district closes for summer break. Swimmers practice 5 days a week. Practices will not be held in adverse weather conditions such as thunder and lightning, and are sometimes cancelled the day of, or day after meets. These decisions are made by the coach. General practice schedule is split up by age group but swimmers may be moved around at the discretion of the coach based on skill level. You will find details on bathing suits, caps and team logo gear by reading about swim team attire.